For too long, student success has mostly meant getting good grades and graduating on time. But now, education thought leaders are adopting a different perspective. Their efforts are fueled by concerns that new discoveries from cognitive and behavioral science aren’t being applied, and technology isn’t adequately blended into teaching and learning. They’re troubled by student disengagement, which, according to Gallup, increases as students advance from grade to grade. They have questions about the potential irrelevance of required subjects that only a small fraction of people now use in daily life and the amount of focus put on memorizing information that can be found easily online. What’s more, in higher education, especially in the United States, there’s a dropout crisis. While more students are enrolling, more than 40 percent of those who begin at American four-year colleges don’t earn a degree in six years, and the dropout rate is even higher among community-college students, according to a report in The Chronicle of Higher Education, a global news source for faculty and administrators. In most other countries except those in Asia, dropout rates measure lower but are still high enough to be concerning, according to the Organisation for Economic Co-operation and Development (OECD). Meanwhile, too many graduates are having trouble finding a job in their chosen fields, and studies show mounting clamor from employers who say graduates lack the high-value skills needed in their organizations: critical thinking, collaboration, communication and creativity, as well as adaptability, empathy, leadership abilities and cultural sensitivity. All of this is leading to disruptive innovation in education. Old norms are giving way to a deeper, broader and more individualized perspective on what student success is and how to achieve it. Student success in today’s world is about acquiring and exhibiting the knowledge, skills and personal development needed to achieve multiple personal and education goals. “Student success in today’s world is about acquiring and exhibiting the knowledge, skills and personal development needed to achieve multiple personal and education goals. It’s a broadened, whole-learner approach that recognizes the importance of motivation, engagement and student wellbeing. It goes beyond success in academics to also include developing interpersonal skills, having experiences that contribute to character growth and enjoying a productive, satisfying life when you leave school,” says Aileen Strickland McGee, a Steelcase education researcher. Of course, educators know first-hand that the dynamics of learning are complex and extend well beyond the activities and relationships that occur in schools. Families and communities exert tremendous influence, too. At the same time, schools are becoming aware that they can make a stronger contribution to student success by broadening their focus, Strickland McGee reports. 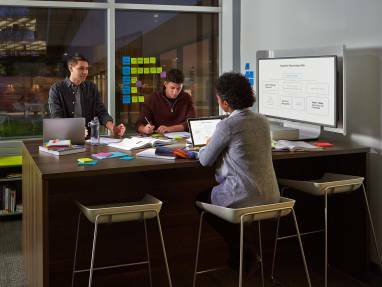 Steelcase research confirms that forward-thinking approaches can now be found at many levels of education throughout the world. The Blue School, a private kindergarten and early elementary school in Manhattan, New York, founded by members of the Blue Man theatrical troupe, started as a playgroup. David Rock, a thought leader in human performance coaching and author of “Your Brain at Work,” is on the board of directors. Incorporating the latest scientific findings about childhood development, Blue School focuses on integrating emotional and academic education by emphasizing a new set of three Rs—reflection, relationships and resilience—alongside content learning. Makerversity in London, part of the fast-growing maker movement that promotes do-it-yourself initiative and hands-on learning, is providing alternative and free educational experiences for youngsters. It aims to inspire the next generation of creative minds through work placements and mentoring events plus an education program for teachers focused on incorporating hands-on activities into core subjects. The University of Vienna offers “Knowledge Creation,” an interdisciplinary elective program that helps students learn to think innovatively in preparation for work in a variety of knowledge and innovation-intensive professions. Enrollees, whose major fields of study range from science to philosophy to humanities, learn higher-order metaskills and complete individual and collaborative innovation projects in a studio environment. The applied approach is essential, says Professor Markus F. Peschl, who developed the curriculum and teaches the courses. “Learning is not just transferring knowledge from one brain to another,” he notes. Minerva Schools at Keck Graduate Institute offers a uniquely global and blended learning approach to undergraduate education. The school’s administration is in San Francisco, but students learn together in seven world cities during the four years they’re enrolled. 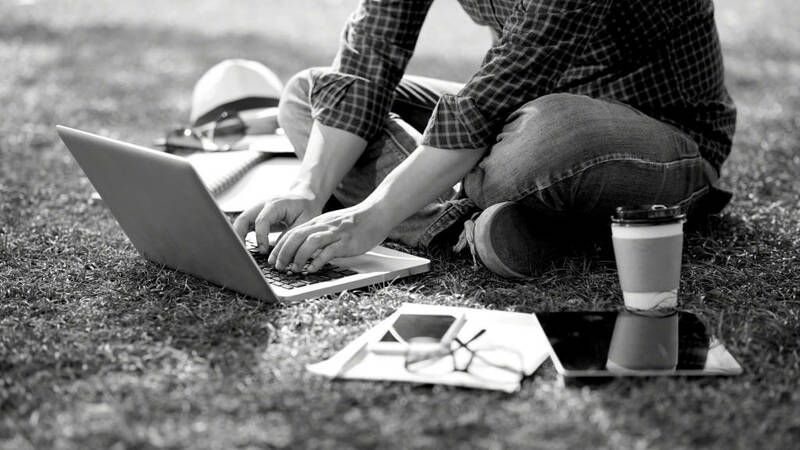 Instead of attending large lecture classes or doing all their coursework independently online, Minerva students, who come from all over, live together, have immersive cultural experiences and participate in small virtual seminars. Students earn degrees in traditional fields, but the overarching goal is to teach “habits of mind” that empower them to think critically and creatively, and to communicate and interact well with others. Most schools aren’t yet adopting approaches as radically different as these examples, but many are rethinking their teaching methods, curricula, support services and technologies. The list of activities to advance student success is already extensive, ranging from adding more technology to classrooms, to offering stepped-up coaching and counseling services, to using predictive data analytics to identify at risk students—flagging those with high rates of absenteeism, for example. By intervening early and appropriately, it’s often possible to help disengaged students become more engaged. For example, Gallup’s 2014 study of American 5th–12th grade public school students shows that hopefulness, engagement and wellbeing are key factors that drive students’ grades, achievement scores, retention and future employment. Similarly, a study conducted by the Department of Education in England shows that students with higher levels of emotional, behavioral and social wellbeing have higher levels of academic achievement and are more engaged in learning, both while they’re in school and in later years. Another study, conducted jointly by McKinsey & Company and Texas A&M University, reveals that mindset and engagement account for more than 50 percent of a student’s likelihood to graduate. It’s important to support students’ cognitive, physical and emotional needs in an ecosystem of learning environments. Because physical environments reflect an organization’s intentions and shape perceptions and behaviors, investing in a range of learning environments creates a favorable context for student success. It’s important to support students’ cognitive, physical and emotional needs in an ecosystem of learning environments. Study after study shows that people perform better when their pressing needs are met, and this finding has broad implications for successful learning. 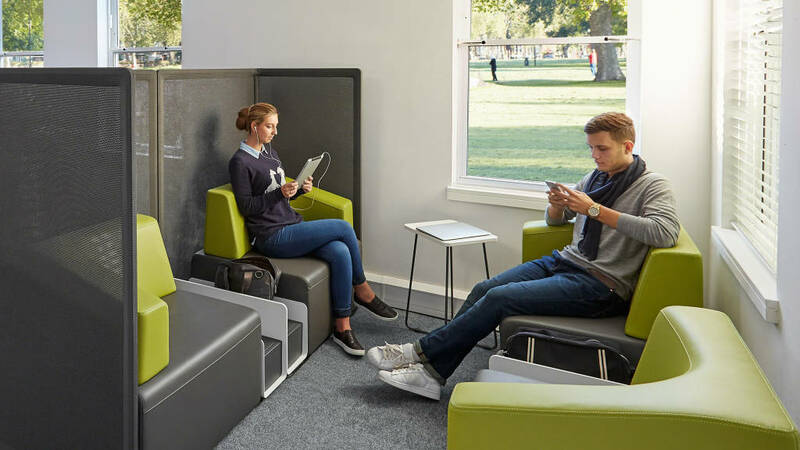 Most campuses present abundant opportunities to rethink spaces in terms of how well they help students gain knowledge, acquire skills and develop personally. Although spaces are often designated for a specific type of learning, it’s a big advantage when they’re intentionally designed to support holistic learning. The result is a different kind of educational environment, one that nourishes student success. Regardless of the grade level, subject matter or class size, today’s best classrooms are designed for active and engaging learning experiences that help students function at their best. Person-to-person connections and being able to easily interact with teachers and peers are essential. At the same time, effectively integrated and leveraged technology presents tremendous opportunities to enhance teaching and learning by offering new ways to access and share information. This frees teachers to focus on richer interactions and higher-level cognitive learning. 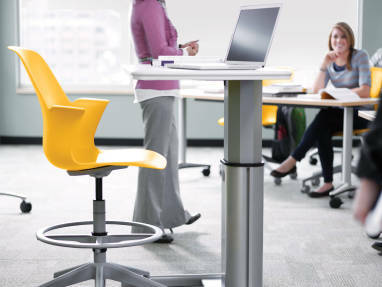 Moveable furniture and seating options support multiple modes of learning—discussion, small group and lecture. They also give students permission to assume alternative postures, making classrooms more human-centered than the rigid “row by column” settings of the past. Outside the classroom, wide hallways and open areas function as more than just transition spaces. Instead, they’re designed for multiple active learning situations and interactions — before, during and after class sessions. Makerspaces, hacker spaces, project rooms, collaboration hubs, innovation labs, virtual reality environments—the portfolio of learning spaces keeps expanding as hands-on experiences are progressively celebrated as integral to education. “Doing spaces”—environments designed for thinking through problems, fabricating solutions and sharing ideas—help develop practical skills. As important, they also cultivate curiosity, persistence and confidence, plus the ability to integrate information from various sources and consider multiple solutions—critically vital mindsets for students’ long-term success. For holistic learning, social spaces—commons, community hubs, cafés, lounges, in-between spaces, etc.—are essential. It’s often through informal interactions with teachers and peers that students expand their thinking, gain emotional maturity and develop meaningful relationships that continue to exert a positive influence throughout life after school. 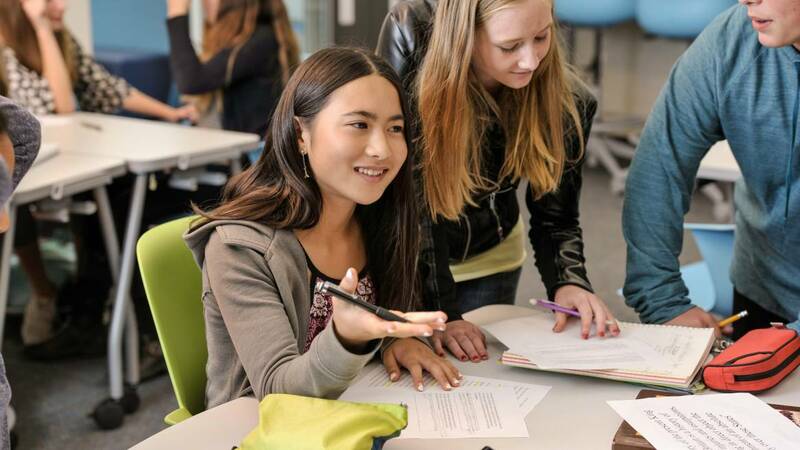 Whether it’s for mentoring, digging deeper into a topic or simply socializing to give the mind a rest, easy access to others helps students develop. Even faculty and counselors’ offices become more welcoming and approachable when discussions can occur side-by-side instead of across the barrier of a desk. When students can choose from a range of learning experiences and a variety of settings, they gain self-awareness, decision-making skills and confidence. Supporting student success is a complex, multifaceted undertaking. There are multiple definitions and dimensions, but all are becoming more holistic. Achieving the goals requires aligned organizational willpower to make changes that matter. Although space alone can’t ensure student success, in combination with inspiring teachers and effectively deployed technologies, it can help drive improved outcomes. Environments can help students think better by supporting the capacities and constraints of the brain. Environments can help students think better by supporting the capacities and constraints of the brain. Environments can help students be healthier by supporting active behaviors, which alleviate problems from head to toe. As important, spaces can help students feel better by providing a strong sense of belonging, optimism and community. More often than not, this leads to engagement. And more often than not, engagement leads to success— while students are in school, and in the years beyond.